Tento projekt je realizován za finanční podpory programu Erasmus+ Evropské unie. Za obsah webových stránek odpovídá výlučně autor. Webové stránky nereprezentují názory Evropské komise a Evropská komise neodpovídá za použití informací, jež jsou jejich obsahem. 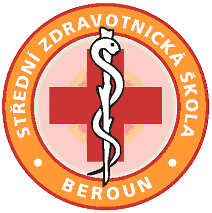 "The improvement of Nursing in English teaching and Introducing of Nursing in German at the Secondary Medical School in Beroun"
This project is funded by Erasmus+ programme of the European Union. The European Commission support for the production of this website does not constitute an endorsement of the contents which reflects the views only of the authors, and the Commission cannot be held responsible for any use which may be made of the information contained therein.